Sales / Marketing / Business Development / Accounts / Finance / HR / SCM / IT Positions. 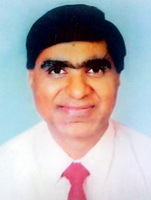 Possess 30+ Years of experience in Corporate Sector / Executive Search / Headhunt Industry and worked as Sales Manager with fortune 500 MNCs ie Modi Xerox, Macmillan, BPL - SANYO and Assistant Director with leading Export Promotion Council. He is also Certified Executive Coach/Career Counsellor/Advisor/Recruiter/Management Consultant/Trainer and Mentor and has coached more than 40 Senior Executives to GM/VP level Professionals. • To encourage more and more Top / Senior Managers Level Indians to return to India by providing and finding career opportunities that match their capabilities. • To locate / Identify winners and provide difficult to find Industry specific - Turnaround leaders and High Performers/ Professionals through Confidential and 100% verified Resume Database / Professional Networking References / Headhunting and build result oriented and High Performance Leadership team for our clients. • Meet clients business objectives by providing premium and best - Job Fit Talent. • To provide long term Hiring and Customized Executive search solutions through Dynamic / Creative Headhunt Approach. • To help organisations to achieve higher business growth and profitibility targets and beat the competition and become leaders in their fields. • To build trustworthy relationship and long term business partnership with each candidate and client and follow ethical Business practices. • To Provide long term Effective Career Planning, Development and Specific Career Solutions / Job Strategies and Improve Career Growth Prospects and maximum Job Satisfaction and Income for all Top / Senior Mgmt / Director / CXO / GM / Functional Head etc Level professionals. • To Motivate and Help People Realise and Achieve their Full Potential and provide Holistic Solutions to individuals in their personal and professional life. • To help Professionals in coping with Senior / Top Management Level Career Crisis and Job stress and enhance their Job Performance / Productivity / Personal Effectiveness through individual Executive Coaching / Career Advisory and Consulting Services. • Commitment : We remain committed. • Confidentiality : We maintain confidentiality. • Integrity : We follow integrity in our dealings. • Partnership : We believe in Long term Partnership and Relationship. 18/8 Kalkaji, Ground floor, Opposite Desh Bandhu College Gate and F-31, New Delhi – 110019, India.